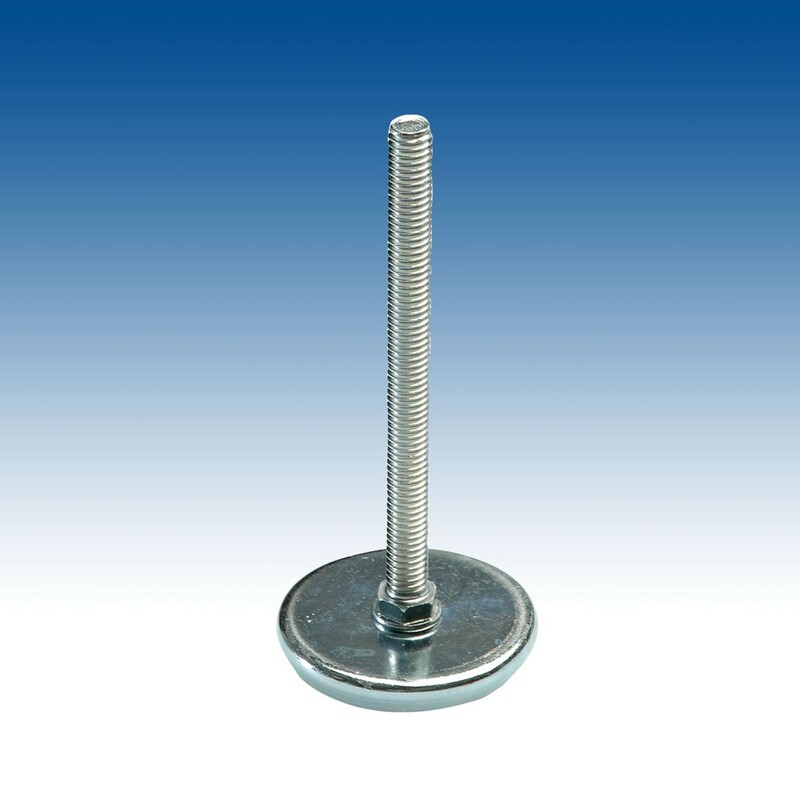 The long stem metal base leveler features a thread size of 3/8-18 x 4-3/4” and the base is manufactured from a co-polymer plastic base with a zinc plated glide. This long stem leveler will not damage or scratch your hard surface flooring and can also be used on carpeted floors as well. This durable leveler features a base size of .683” High x 2-5/16” Diameter and is stocked in Outwater’s New Jersey and Arizona warehouse facilities. Having our collection of levelers, and other products, stocked in our warehouses allows Outwater to provide faster and more cost-effective shipping for customers located throughout the country. Customer service is one of our top priorities and we strive to offer our customers the best products on the market today. If you cannot find the leveler that best meets your needs, contact our experienced sales department for more information on our collection of levelers as well as other collections that Outwater has to offer.